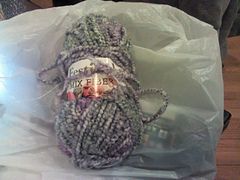 Strangely, the ball band has care information, but not about gauge, yardage, or ratio of fibers. 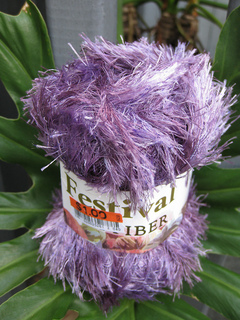 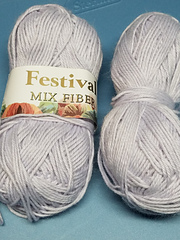 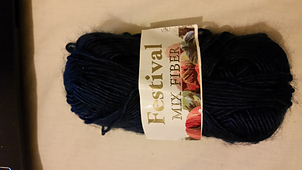 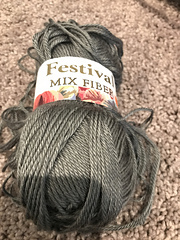 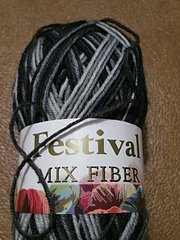 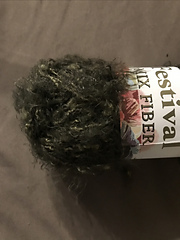 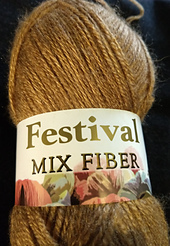 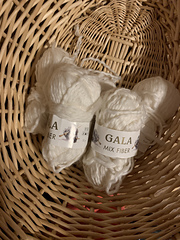 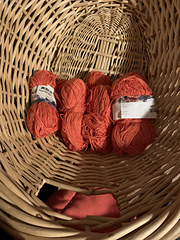 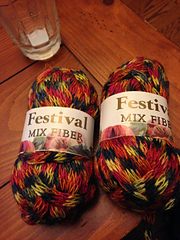 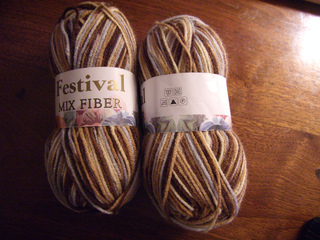 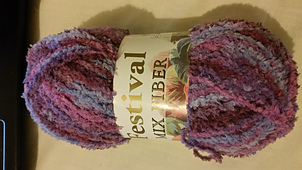 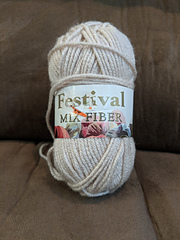 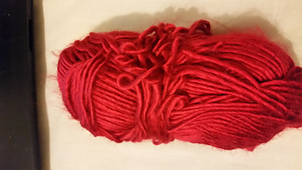 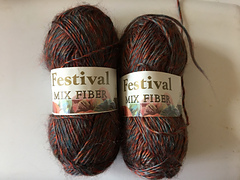 “Festival Mix Fiber” is a catch-all label for remaindered or discontinued yarns in odd balls. 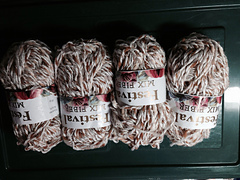 Textures range from ordinary plied acrylic/polyester worsted to eyelash to chenille and many other novelty yarns. 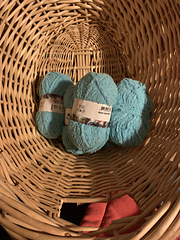 Each ball is labeled with the weight (50 grams) and washing instructions (hand wash). 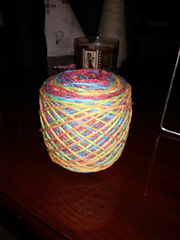 Since yardage and gauge vary widely, however, no information about them is given on the ball band.